Haylee Marie Schmidt was an extremely happy and healthy nine and half month old baby when I last held her in my arms. Little did I imagine as she gazed intently into my eyes with all the innocence and wonder of a little baby that she would die that night. She was never ill before receiving that Hepatitis B shot that afternoon. After her last nap of the day she woke up and let out painful screams. Thinking she was hungry and was sore from the shot earlier that day I fed her and gave her some baby infant Tylenol. As I laid her down for bed that night I kissed her forehead and told her how much I loved her. She fell fast asleep but when I went to wake her up the next morning she had passed away in her sleep. Haylee is survived by her mother Kallie Schmidt, father Casey Mallonee, Grandma Deborah and her husband James Moore, Grandma Debbie Priest, and Grandpa Frank Schmidt & his wife Annette. Click here to read more about Haylee's Story. Watch video below. 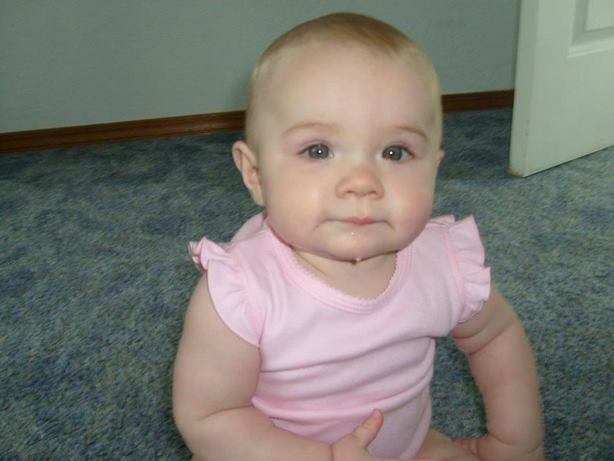 HEPATITIS B VACCINE KILLS 10 YEAR OLD BABY! Another baby murdered by the government and their vaccine death cult!See how they try and discredit the baby's mother to try and cover up this murder!The government has billions of dollars to spend on propaganda to convince people that they have their best intentions at hear, but no amount of propaganda can shield them from the truth!All that it takes for evil to prevail is for good men and women to do nothing!But I know that these words will reach good men and good women who have the courage to share this information and expose this worldwide eugenics death cult!Every single time we expose this murder, we bring ourselves one step closer to ridding ourselves of this diabolical government!PLEASE, SHARE THIS VIDEO!JOIN THE FIGHT FOR FREEDOM TODAY!